Postmodern representations of action narratives and violence are big business. Arnold Swarzenegger’s films in the late ’80s wisely parodied his hyper-masculinity for comedic effect, while Quentin Tarantino virtually single-handedly made such depictions popular within the gangster genre in the ’90s. More recently, director’s such as Stephen Chow (Kung Fu Hustle, 2004) and duo Mark Neveldine and Brian Taylor (Crank, 2006) have capitalized on the eccentricities of the genre, exaggerating them to insane levels for innovative and entertaining set-pieces. Ryoo Seung-wan (류승완) has built a solid reputation and loyal fan-base through his own reverential-yet-playful productions, representing the oft-explored areas of brotherhood, the gangster/police officer dichotomy, and ultra-violence. 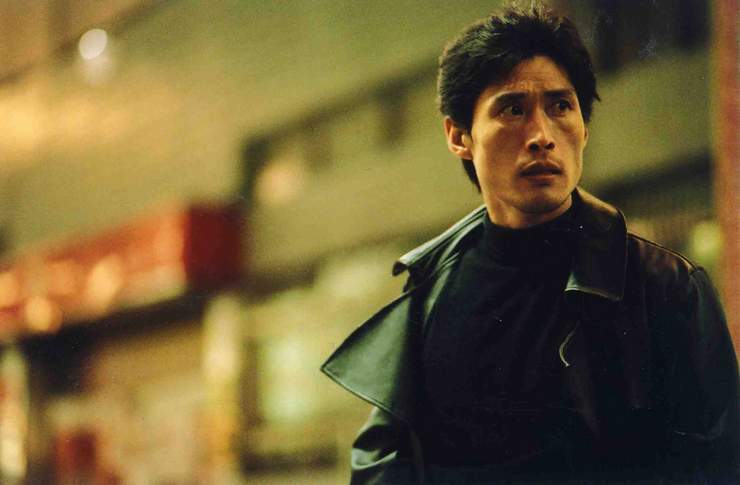 All his auteuristic traits are present within The City of Violence (짝패), a film that initially starts slowly but becomes a riveting action-thriller in the final act. When prolific gangster Wang-jae (Ahn Kil-kang (안길강) is murdered by a group of young local thugs, his oldest and dearest friends reunite for the funeral, including Seoul detective Tae-su (Jeong Doo-hong (정두홍) and hot-headed gangster Seok-hwan (Ryoo Seung-wan (류승완). Alongside crime kingpin Pil-ho (Lee Beom-soo (이범수) and math teacher Dong-hwan (Jeong Seok-yong (정석용), the group reminisce about their childhood and lament the loss of their old friend. Yet something about the attack feels wrong to Tae-su, and he begins an investigation into his friend’s murder but encounters more questions than answers. Joined by Seok-hwan, the pair punch and kick their way through an army of miscreants to finally get the truth. The narrative of The City of Violence is far from original, depicting the gathering of a group of friends that have drifted apart since their inseparable childhood. Tae-su also fits within the archetypal mode of the outsider-hero, returning to his former home to instill justice within the populace. In portraying such overly familiar themes director Ryoo Seung-wan is highly reverential, conveying confidence and a measure of comfort through the postmodern nostalgia value. This approach is also detrimental however as the lack of parody equates to a level of seriousness that detracts from the enjoyment, while the distinct absence of inspiration and ingenuity produces a rather bland and predictable plot. Considering the immense success of Friend in 2001 which explored similar themes in incredible depth, the choice to focus so reliantly upon stereotypical protagonists without self-parody is puzzling. The first and second acts are quite dull due to the often plodding predictability, although conversely pleasure is often derived in this fashion through conventions such as the hard-boiled cop, the flamboyant kingpin, the hot-headed sidekick, and so forth. 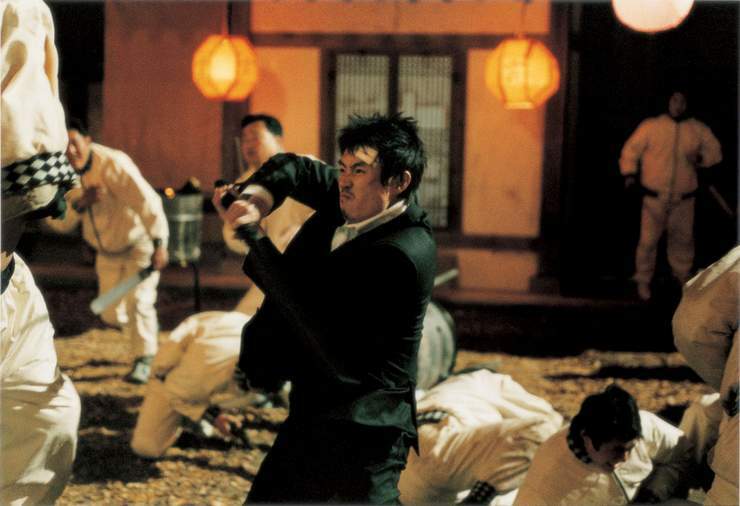 Where Ryoo Seung-wan’s directing skills shine are in the tremendous final act, in which Tae-su and Seok-hwan fight a veritable army of gangsters. The extreme-violence is beautifully choreographed and almost balletic, while on a technical note the camera-work, framing and editing are sublime. The reverence to the action films of Bruce Lee and Jackie Chan are clear as the duo battle an assortment of foot-soldiers wearing clothing associated with a particular gang – baseball players, chefs, b-boys and so on – crafting action sequences akin to the old 1990s computer game era. This motif is further reinforced as Tae-su and Seok-hwan must fight ever more challenging opponents that lead to a showdown with the big boss, similar in nature to the martial arts tournaments as in Enter The Dragon (1973). Ryoo Seung-wan’s wisely injects tongue-in-cheek humour throughout the proceedings as the duo, tired and beaten, must continue to soldier on producing some wonderfully comical moments. In addition to directing Ryoo Seung-wan also performs as Seok-hwan. While his role is generally quite limited, he nonetheless conveys the hot-tempered protagonist well and is responsible for some astounding action and his skill is impossible not to commend. Similarly Jeong Doo-hong as Tae-su is incredibly gifted in his physical prowess, performing highly entertaining displays of martial arts. The stoic nature of his character is also conveyed competently through his no-nonsense attitude and dark clothing, archetypal but enjoyable for that very reason. The most grandiose archetype is bestowed upon Lee Beom-soo as crime boss Pil-ho, conveying his vicious nature and lust for power with conviction. His wonderfully tailored suits express his need for approval and acceptance just as much as his cowering to bosses from Seoul, making Pil-ho the most compelling and three-dimensional protagonist within the film. The bloodthirsty motivations, in conjunction with the camp facade and troupe of bodyguards, are a testament to classic Bond villains and make Pil-ho a protagonist that’s easy to love to hate. 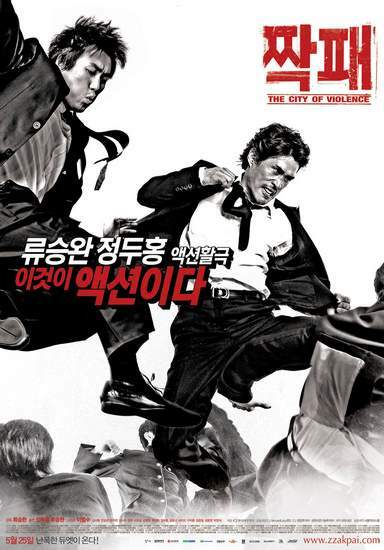 The City of Violence is an unapologetic homage to classic action films and while there is a certain level of nostalgia and enjoyment to be had, the film suffers from predictable, bland and uninspiring first and second acts. The final act is where the skills of the director and cast shine however, crafting an incredibly entertaining and postmodern finale that finishes on a high note and will have action fans wondering why the entire film doesn’t convey the same passion and finesse.